Enter the realm of Gatekeeper: a first-person audiovisual voyage through a seamless, cineplexscaled, techno landscape wrought in glossy HD. The product of the fertile imaginations of New York electronic duo Aaron David Ross and Matthew Arkell, this sonic vision has been brought to virtual life for debut album Exo by internet artist Tabor Robak. Except it’s not an album, it’s a whole new world. Exo is a soundtrack, an immersive gaming environment and a language in the form of downloadable font, the three so tightly interwoven as to playfully blur the boundaries between art and recreation, upturning what constitutes a music release in the 21st century. Exo is next generation, now. But let’s rewind a minute. Gatekeeper was born in Chicago, where Ross and Arkell met at university, students of music and cultural studies respectively. Sci-fi freaks since childhood, their early music worshipped at the altar of John Carpenter, as they dredged doomed fantasy narratives from their synths, samplers and software. The visual side of Gatekeeper was key from the off, with a fog machine a crucial component of their live shows. Their smoke signals were picked up by the appropriately named Kompakt sublabel Fright, which released a 12” in 2009. The fledgling Thunder Horse, a crew of film and fine-art students from the same uni, came onboard to up Gatekeeper’s live-show production values to “more of a controlled lighting spectacle”. Then, when the whole friendship circle moved to New York in summer 2010, Gatekeeper’s fog’n’FX became a fixture on the local warehouse scene. But it was their debut EP, Giza, in 2010 that really got heads talking and set them off on their journey towards Exo. Fittingly, the three had originally met via Myspace when Robak was still living and working in his hometown, Portland. “Friends had turned me on to Gatekeeper and we all listened to them. I guess they knew about my artwork in the same manner. There are a lot of intersecting themes in our work.” Having “tossed around jpegs and stuff” for a couple of years, the three finally met IRL on New Year’s Eve 2010 when Gatekeeper played a show in Portland. “We became quick friends and Robak came out to New York to stay with us. We had a party week,” says Ross. “I stayed up all night playing video games while they went to work,” laughs Robak. You were that guy on the couch? “Yep,” he grins. Central to both Robak’s internet art and Gatekeeper’s music is a shared HD aesthetic, something Ross and Robak took to its most ironic-but-not-ironic extreme as members of contemporary boy-band #HDBOYZ, who showcased their song “Photoshopped” at the Museum of Modern Art PS1’s summer series last year. While their tongues might’ve been firmly in their cheeks on that occasion, their love of HD couldn’t be more serious. “There’s something really funny about high-quality DIY productions,” agrees Ross. 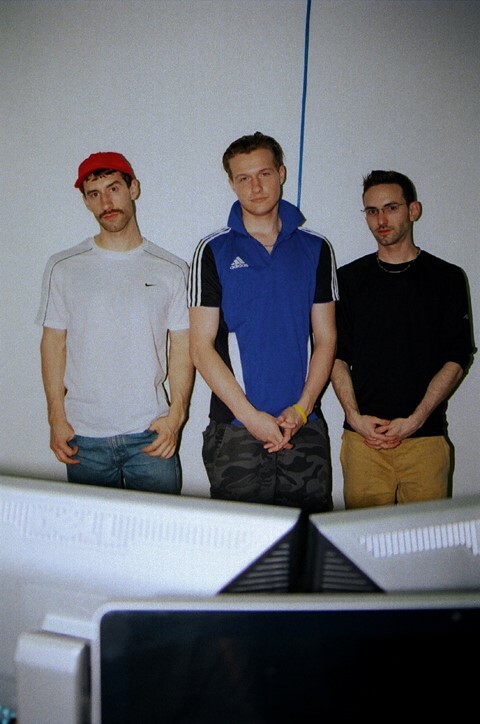 “When you create something that looks really commercial and polished and you just did it sitting at home on your computer.” They jokingly refer to the high-definition DIY approach as “HDIY” in the way all era-defining movements are made; accidentally, naturally, for fun. It’s a natural evolution for a generation weaned on video games. Pixellated gaming soundtracks have long infiltrated electronic music’s structures, while the consoles themselves became early compositional tools for the likes of Benga, Hudson Mohawke et al. It was only a matter of time before the inspiration became the experience. Of course, the development of technology has played a big part in that. “These game development tools have only in the last two years become accessible to non-professionals,” says Robak. “Photoshop people can understand the interface and make their own images now. Before, the tools to make these games were so esoteric and foreign that it wasn’t accessible.” But the really thrilling thing is how the worlds of music and gaming are now colliding. Yes, there are music games, interactive music videos and Pitchfork’s recently launched Soundplay platform, which pairs songs with simple games by indie developers, but Gatekeeper and Tabor Robak’s collaboration has taken the possibilities of the artform to a whole new level. Download and play Exo HERE.